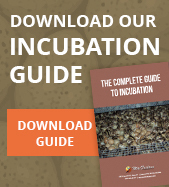 If you don’t find chicks on the week you want them, sign up on our standby list (chances are you'll get them!) We often over-hatch or have cancellations. 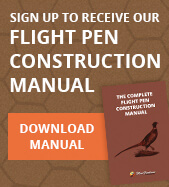 We'll notify you when we have extras. 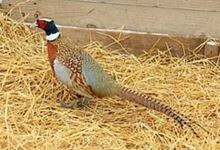 The most popular of breeds, our Ringneck pheasant is used primarily for stocking and hunting. 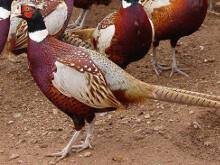 Often viewed as the most beautiful strain of pheasant by many in the industry, the Kansas Blueback is one of the lightest and flightiest pheasants on the continent. 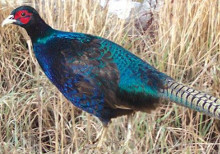 An excellent flight bird, the Manchurian/Ringneck Cross is similar in size and weight to Chinese Ringnecks. 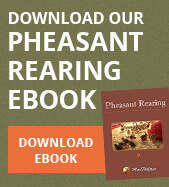 A pure breed, these large, beautiful pheasants feature an iridescent, greenish-black plumage. 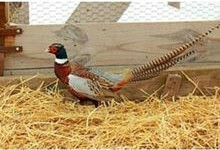 This breed is primarily Mongolian blood and is a challenging bird for dogs to get into flight as it tends to be a ground runner. 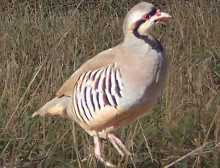 The Chukar/Redleg Partridges are small flighty birds, known for their ability to fly and their zebra like stripes on the wings. 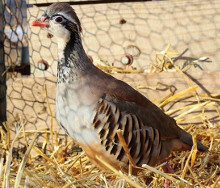 The Chukar Partridge weighs around 1 pound and has well defined black and white bars on the flanks.